In Dashlane your saved logins and passwords are called credentials. These are the keys stored in Dashlane that let you experience your favorite sites without friction. To learn how to do this, you can watch the video below (for Windows and MacOS devices only) or carry on reading. 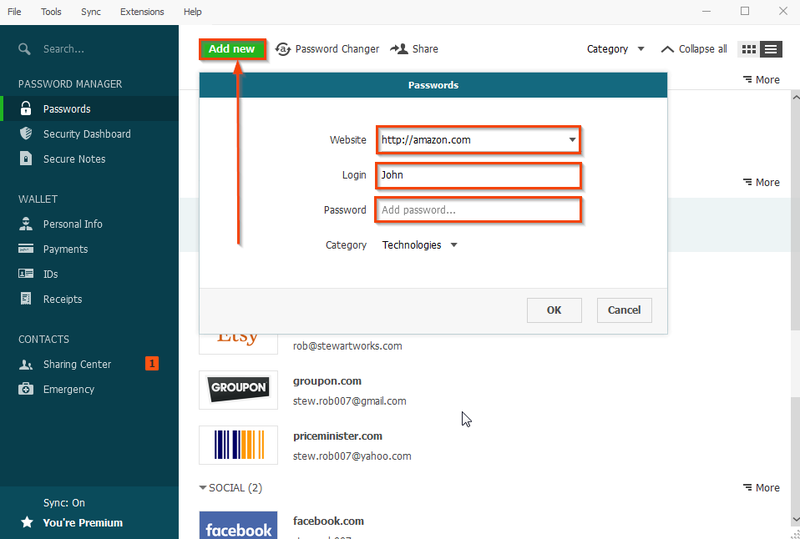 The fastest way to add your passwords is to let Dashlane find and add them for you. Dashlane can import passwords from (Windows/macOS), Firefox (Windows/macOS), Internet Explorer (Windows) and Safari (macOS). Click on File → Import passwords and choose the browser from which you want to import your passwords. Dashlane will show you a list of all the passwords it was able to find in your browser; select the ones you want to import, click on Import and the passwords will automatically be added to Dashlane. In the application, select File → Import in the menu bar at the top of the screen and select either Safari, Chrome, Firefox or All browsers. Dashlane will then display a list of all the passwords that could be found in the browser(s) that you selected. Select the ones you would like to import and confirm. If you are using another password manager but it allows you to export your passwords in a CSV file, you can import from CSV file. Note that importing passwords from a browser or another password manager is not available on Linux and Chromebook. When you enter a login and password that isn’t saved in the app, it will ask you if you’d like to save it for future use. Stay logged in to Dashlane as you browse the web. If you visit an account that’s already stored in Dashlane, and you enter a different password than what Dashlane has saved, the app will ask you if you’d like to replace it. This makes sure you always have the right passwords in Dashlane (especially when you reset them). For more information, check out the autoconnection and password learning section. You can add passwords yourself manually. Go to the Passwords section in Dashlane, and click “Add new”. From there, you just need to fill in the blanks. Usually, the Website, Login and Password fields are necessary. Then click OK to save. You also can add manually passwords on Linux and Chromebook. Please, refer to this article to found out how to do it.